MD and founder of GPGillespie, Greg Gillespie, offers clients the chance to work with him on a one to one basis to help them improve their marketing strategy and execution. Company MD, Greg Gillespie offers his services as a marketing consultant to clients who are looking for help in their existing marketing campaigns or those looking to create new campaigns or ideas. Having started, run and sold numerous businesses, Greg understands the importance of marketing and has many years of experience in doing exactly that. His no-nonsense approach can help businesses improve on their existing efforts or he can advise on any new strategies that need to be created and implemented. Another advantage of hiring a marketing consultant is for entrepreneurs and businesses owners to get advice on a new business, project or initiative where a certain element of market research is needed in order to validate the concept. Greg can help clients on two levels, one in the creation of targeted customer profiles, channel selection and the overall marketing plan and, in some instances, he is able to help find the data that can confirm or deny an assumption. 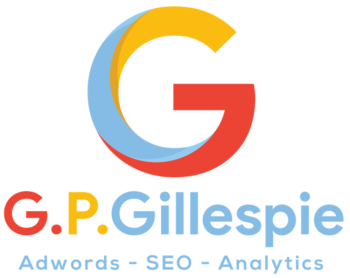 Alongside running GPGillespie, Greg is passionate about being a marketing consultant and helping businesses and owners improve their campaigns and get more clients. He has also lectured in various aspects of marketing for Goldman Sachs 10,000 Small Businesses and UCL. If you would be interested in working with Greg as a marketing consultant to help you and your business, you can book a free 30 minute session to discuss what you're looking for and see if Greg would be able to help you.